Recently I was invited by Pei-ching of Taiwan Lantern to come to the Friends & Family night of the Woonbeurs last night. Soon I will write a blog post about her beautiful lanterns that are made in a factory in Taiwan with such craftsmanship. I have an absolute favorite! Can you guess which one? 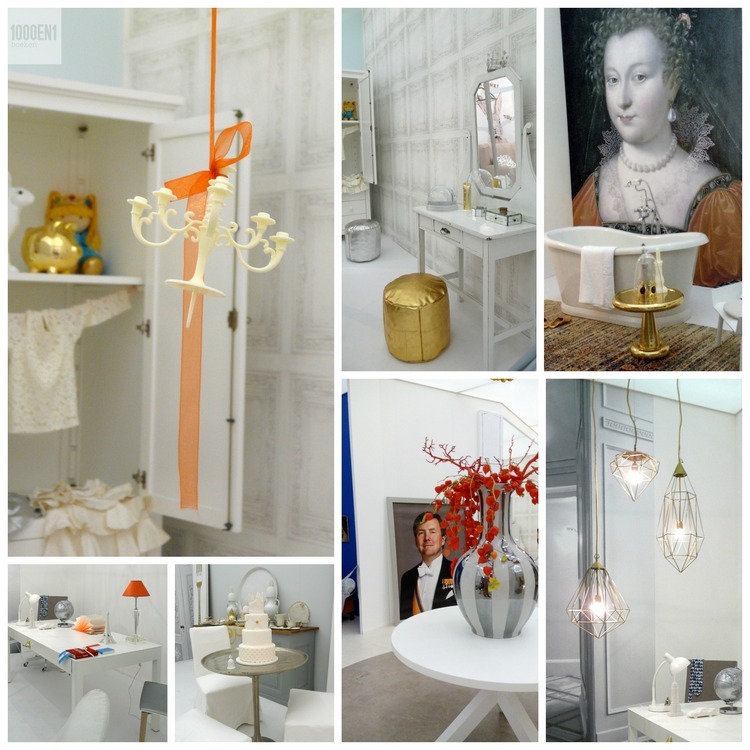 There was one house in particular that stood out to me: the home of Willem-Alexander and Maxima according to vtwonen. I walked through it twice, so cute! So much detail in this house, so beautiful put down at the fair! The gold shoes in the bath, the "oranjebitter" on the table, the wallpaper with the exchange lists, the little bell on the table, Willem's tie, the crown on top of the mirror. Too many wonderful little details to mention. The candlestick with orange ribbon was probably the most fun detail for me. Is there really a royalist in me ;-) or am I influenced by the little lady of almost 4 years old, who is in the middle of her princess stage? Last Prinsjesdag the three of us have waved to the royal couple in the Golden Carriage and Queen Maxima actually waved back to our little princess. 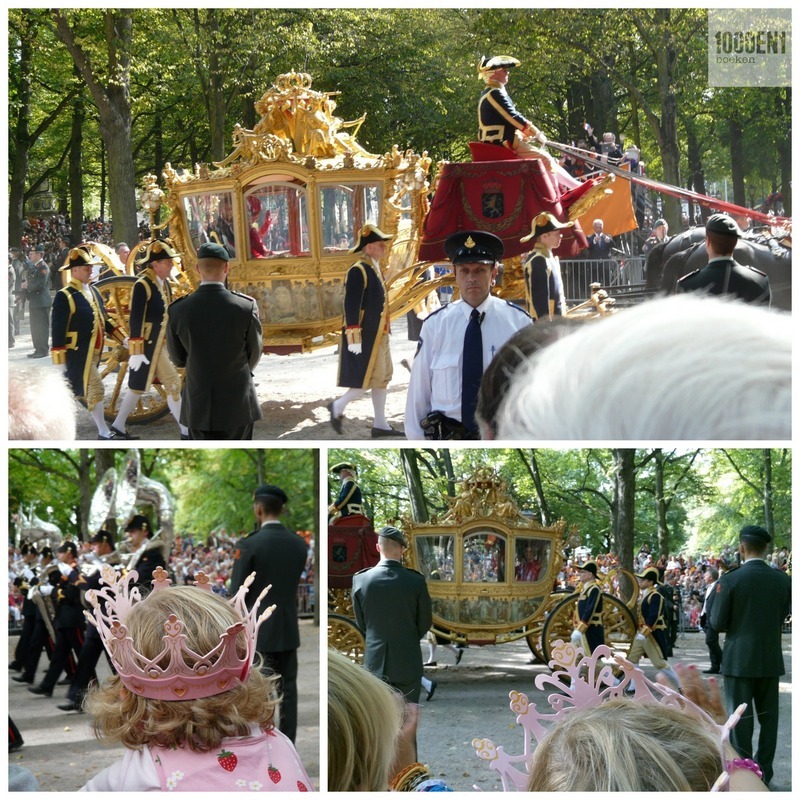 I had never experienced Prinsjesdag myself and was quite impressed with the whole thing.